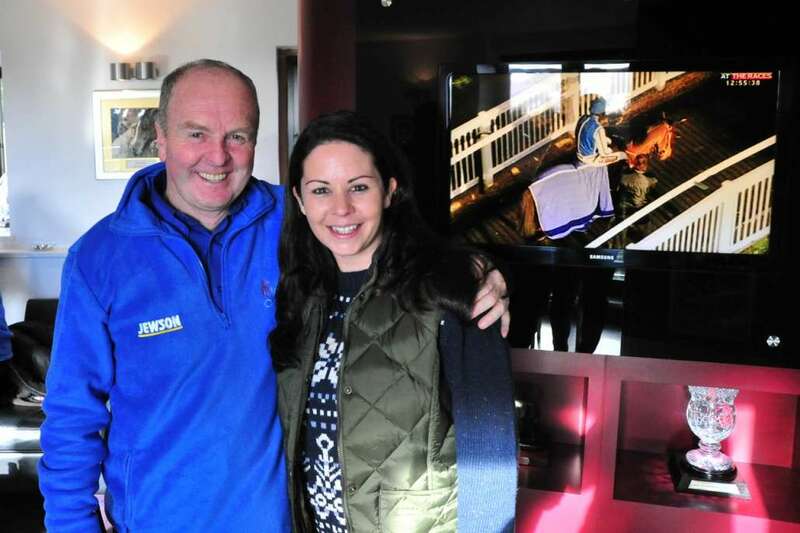 Recently we had the pleasure of visiting Jackdaws Castle run by legendary trainer Jonjo O'Neill and being completely in awe of the amazing set-up that he has. 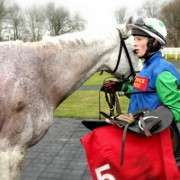 On the back of a hugely successful Cheltenham Festival he now looks to the 2014 Crabbies Grand National and gives us the run down on his hopes for the big race as well as answering some questions posted by our Facebook fans about his days with Dawn Run and Sea Pigeon. Jonjo O'Neill will field Burton Port and Twirling Magnet later today and we wish both and his lovely team the best of luck! Question: You’ve been incredibly successful as both a jockey and a trainer – do you prefer one over the other or do they both have their time and place? JJ: They are totally different experiences and I've been very lucky to have enjoyed some very good days as well as plenty of days I'd rather forget. When you're riding, it's all about concentrating on getting the best out of one particular horse at a time even if you have half an eye on the future. When you're training, you have to be aware of so much more. We're lucky enough to have 120 horses here at Jackdaws and we have five lots every morning through the winter with each horse at a slightly different stage on the way to being ready to race. We have a team of 45 brilliant staff and a big priority is to keep in close communication with all the owners and make sure they are happy. That all makes life as a jockey feel a lot more straightforward but I wouldn't swap training for anything else. Question: As a jockey, who was your favourite horse to ride and which was your most favourite race to win? JJ: It's always very difficult to single out one or two horses when winning every race feels so special at the time but you can't get away from the likes of Sea Pigeon, who delivered some truly great performances over hurdles and on the flat, and Dawn Run who achieved something that had remarkably never been done before when she followed her win in the Champion Hurdle with the Gold Cup. That's over 25 years ago now and it's not been done again which gives you some idea how brilliant she was. Question: Is it even possible to choose between Dawn Run and Sea Pigeon? JJ: I'm sorry. I've answered this one already! It's very difficult to choose between them as they were so different in there attitude and ability. You have to remember that Dawn Run was a mare and although they don't look that different from the geldings, they can very different in their heads. Paddy Mullins did wonders with her to get her to Cheltenham twice in such great shape. He was a master of his craft and she proved to be the last winner he trained at the Festival. His son has trained a few since! Gordon Richards trained Sea Pigeon before his owner moved him to Peter Easterby. He was good enough to run in the Derby so having the opportunity to ride him in the Chester Cup and Ebor, I knew he had a fair engine. 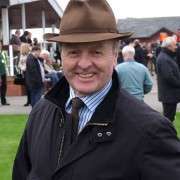 The Champion Hurdle is a race that has eluded me as a trainer and I need to do something about that. I love those big Flat handicaps and they've given us some magic days. Question: How does a Gold Cup win as a jockey compare to a Gold Cup win as a trainer? JJ: The Gold Cup has given me some of my happiest memories and has brought me back down to earth very quickly on all three occasions I've been fortunate to win it. Sadly, neither Alverton nor Dawn Run were with us to defend the title and the same happened with Synchronised. I would not grow tired of winning the race as it's the pinnacle of the sport and it would be even better if we could have the horse to campaign year after year so we keep dreaming. Training the winner for JP was very special as I cannot begin to describe what he's meant to me and the family and all of us at Jackdaws. Being there in the winners enclosure with JP and Noreen, AP and many of my family is something I treasure. Question: The trainers Championship race is hotting up, is the aim, over the next few years, to win the Trainers title? JJ: That's the idea. We got fairly close to winning when we first moved to Jackdaws but the bar has been raised in terms of the level of prize money needed most seasons. You need everything to go right and we're working on that. Going into Aintree this year, we're only a Grand National and a bit behind the leader so who knows. We keep reminding AP of that target of 5000 winners. With him on our side, anything is possible. 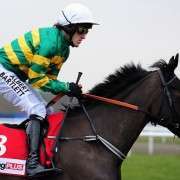 Question: A win in the 2014 Grand National would put you in second place on the trainers leader board, and you have Burton Port, Sunnyhillboy and Twirling Magnet all guaranteed a spot this year with Lost Glory very close to making the cut – which, in your opinion, has the best chance of winning? JJ: With Sunnyhillboy missing the race, we hope to have two runners that are miles apart in terms of character and experience. Burton Port has very good form around the Mildmay Course, winning and finishing second. If he is anywhere near as good as he might have been when injured a few days before the race in 2012, when he was favourite, he's have a decent chance. Trevor Hemmings has been a wonderfully loyal supporter and I'd love to win it for him. 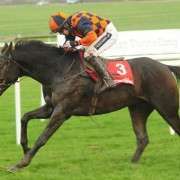 Twirling Magnet is nowhere near as experienced but the Handicapper appears to have taken a shine to him and with Gay Smith, his owner, enjoying such a good season for us with Holywell, he deserves to take his chance. Question: Do you use any particular training measures to get them ready for the Aintree fences? JJ: The facilities at Jackdaws are designed for elite athletes and allow us to get the best out of each and every horse in our care. 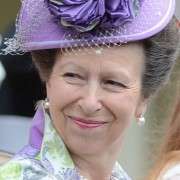 They have proved particularly good for staying chasers – as well as staying hurdlers and Flat handicappers! The atmosphere is so calm and, generally, the horses find it very easy to relax. I like to give them time and encourage them to build up their confidence. Nothing is rushed. We have several gallops, woods they can walk through, a pool and a lovely line of schooling fences. The crucial ingredient is the team looking after the horses and we have the very best at Jackdaws. Even in winters as cold and wet as the last two, the routine never stops. It's unbelievably rewarding when it all comes together but you still need more than your fair share of luck. Question: Looking over all of this year’s entries, if you were to put £10 on any horse to win, who would you put it on? JJ: With my luck in the race, Don't Push It apart, I'd be well advised to buy a few lottery tickets instead. I never got beyond the Canal Turn second time around as a jockey and have had plenty of near-misses with our own horses so I am certainly not going to add pressure to either of our runners nor put any of the others at a disadvantage. 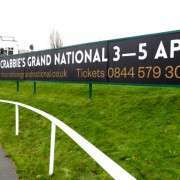 The National is a brilliant race and so much effort is put into making this a great event by Andrew and the team at Aintree. Everyone wants it to be successful and that's what's most important. It's a privilege to be part of such a special occasion and I just hope they all get home safely. That's the main thing.